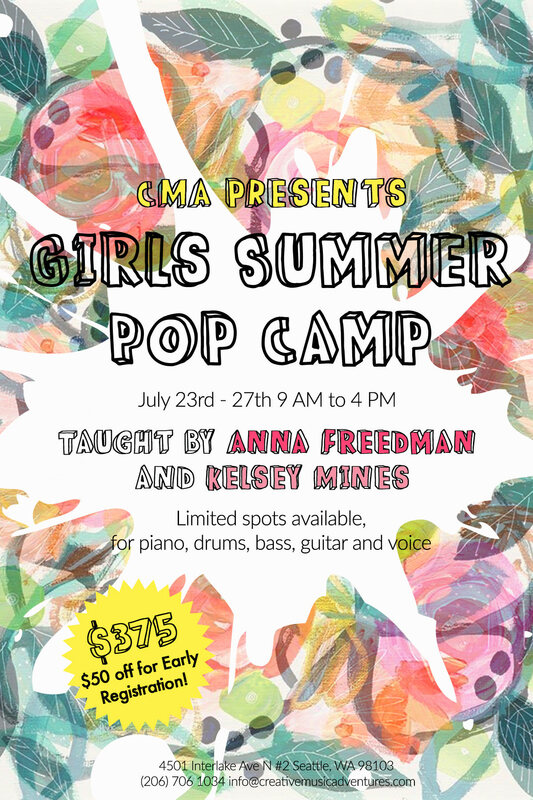 The CMA Pop Camp for Girls will provide students with a supportive, collaborative environment in which they will learn to play the music they love -- from Katy Perry to Rihanna and beyond! Led by Anna Freedman and Kelsey Mines, each student will experience singing, playing piano, drums, bass, and guitar in a band. At the end of the week, students will perform in a blowout concert, and each student will receive a video recording of their performance to share with family and friends.